With five tips, here’s a baseball metaphor for business — Mickey Mantle, whose feats provide special lessons for HR and managers. Top performers in business have the same characteristics as great athletes, and it isn’t always about money. Top baseball pitchers always want the ball. Home-run hitters always want to be the go-to players, especially when their team is trailing in the last inning. They want to play for winners, and they dream of coming through in the clutch. The No. 1 baseball player all-time in walk-off home runs is still Mickey Mantle – he hit 13 in his 18 seasons as a New York Yankee. The term, walk off home run, was not used in his playing days, but it’s common now. He still holds the World Series’ record for the most home runs – 18. For non-baseball fans, a walk-off hit is high drama because it means instantaneous victory – it’s the last run batted in for the home team’s last-at-bat. Baseball fans know how difficult it is to accomplish in the other team’s stadium. Mr. Mantle could hit out them anywhere. His home runs were also memorable because they were majestic. 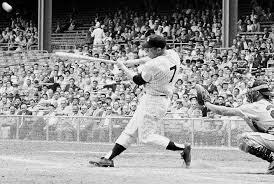 In 1960, he hit the longest one history – 643 feet. Guess what? We couldn’t believe our eyes. On the next pitch, we were thrilled as the Yankee legend blasted a line drive that almost hit us. He hit a dramatic home run off a pitcher that few players could hit. It was such noteworthy event the Los Angeles Times interviewed the man sitting behind us because he managed to get the ball after a scuffle among the fans around us. During the 1964 World Series against the Cardinals in St. Louis, Mr. Mantle won a game by hitting a dramatic ninth-inning homer off noted relief knuckle-baller Barney Schultz. I’ll never forget the newspaper headline the next morning: ‘I was scared to death’ – Mantle. When the Yankees originally brought up the kid from Oklahoma, he was 19 years old. He had been passionately tutored by his father, and he was very competitive in high school in all sports. As a major-leaguer, he failed at first and was sent down to the minors. Depressed but with his father’s encouragement, he soon made it back to Yankee Stadium. Not only did he have power, he could run faster than any player, and became the greatest switch-hitter ever. In 1956, he won the Triple Crown for batting average, home runs and runs batted in. The next year he hit .365. He credited his father’s influence for his success. He retired at the early age of 36. Unlike most players then and now, he played for the same team his entire career. He later got religion. 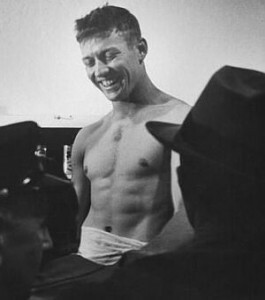 He admitted alcohol-related health problems stemmed from his desire to excel off the field, which limited his career. But, oh, what achievements. So what are the parallels between baseball and your company? Like the late Yankee great, stars want responsibility and to be held accountable for their actions. The only way to make it possible to retain them and to win in the marketplace is to give your stars sufficient opportunities. So, if you have star employees, it’s critical to retain them in the right atmosphere. It isn’t entirely about money. It’s about opportunity – for your firm’s growth and theirs. Sure, they want to make a good income. But they fantasize about personal achievement in helping their team to win in image, market share and profits. So how do you identify the potentially great performers? Look for three As: Attitude, appearance, and ability. Attitude means they have the necessary competitive drive, confidence, calmness under fire, character, and the ability to be empathetic with coworkers and customers. It’s also important that employees have the desire to learn and grow in responsibility. Professional appearance is important for credibility and first impressions, which are lasting. Spend time with your employees to learn their personal objectives and skills. Determine how their goals can match yours for your business. Teach them how they can impact the big picture – how their performance helps the company. Show your appreciation for their efforts. Explain how their talents will help your team. By now you probably realize I like baseball – hence the sports analogy. But I’m not enamored with the free-agency process. Take care of your players – your human capital – and you’ll be rewarded with a grand-slam home run. From the Coach’s Corner, this portal has numerous tips for management in the Human Resources category.